It may not look like much, but the hidden gem in this piece is a small amount of Italian dressing between that turkey and the toasted bread thin. 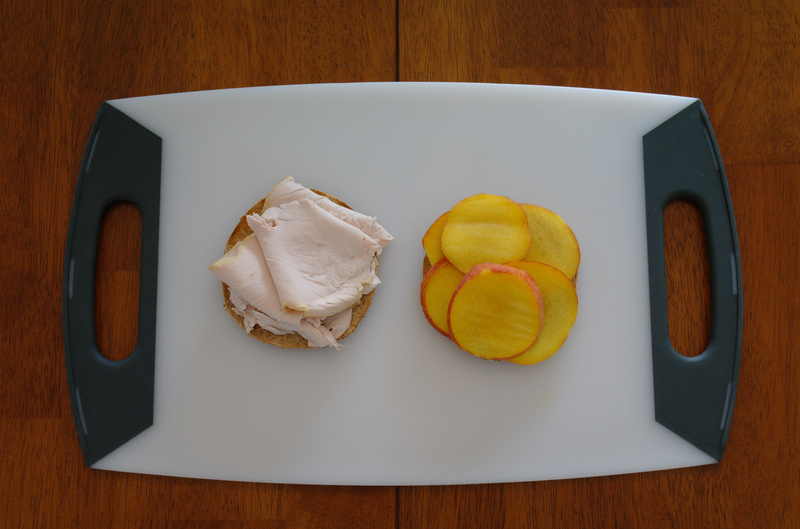 It adds a slight flavor to the mild, slightly dry turkey, which then combines perfectly with the sweet peaches. If texture is a concern, then that crispy toasted bread thin will surely get you on board. This is a light summertime piece that will wow any party-goers who may land on your doorstep, so kick back (because it’s pretty easy to slap this one together) and relax until you hear the doorbell.